The Discworld is filled with a vast and diverse population - from witches to vampires and from the fiendish to the foolish, it is a world in which magical books can devour the unsuspecting, and Death can escape to the country for some time off. 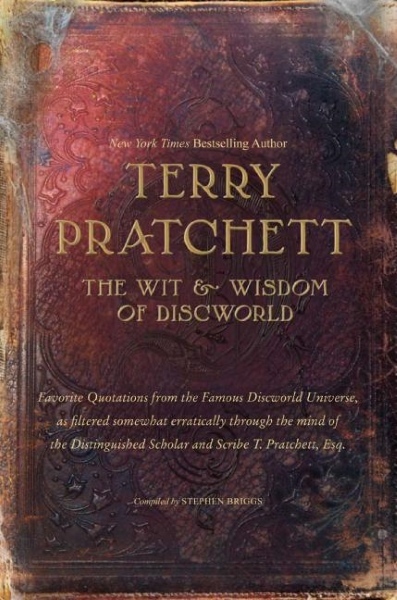 The Wit and Wisdom of Discworld is a collection of the wittiest, pithiest and wisest quotations from this extraordinary universe, dealing one-by-one with each book in the canon. Guaranteed to transport you back to your favourite or forgotten Discworld moments it is the perfect book for die-hard Pratchett fans, as well as anyone coming to the Discworld for the first time.